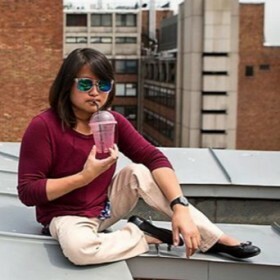 "I am so interested in dialoguing with people about hosting programs. I really, really am. But, for the rest of the day, I just can’t reply well to messages telling me that they don’t agree with hosting. Today, we are just going to drive home quietly for the next 3 hours and process. Tomorrow, I’ll reply to the respectful messages as well as the criticisms. No more for today." That’s what I shared on Facebook the day we said goodbye to the boy we snuggled, fed, bathed, tickled, and loved for a month. It was a last-minute decision to host him in our home and in our family. But, by “last minute,” I don’t mean that it was a quick decision we made without a good bit of thought. We did a lot of thinking and, ultimately, said yes because we felt like, at that time, for that child, we could not say no. What came next was a life-changing month for two families and this one child. Finding themselves in a spot not all that much unlike the way we felt not long before, a family already with 5 children met him in our living room and felt like, at that time, for that child, they could not say no. They are working now to bring him home for good (for a whole lot of good). We audaciously opened ourselves up in bringing a child into our home who we knew was not our own. We knew that would be messy, that days might be long, that tears would be shed, that we’d be more tired physically…emotionally. We knew we’d be more dependent on each other, more dependent on Him. We wanted to go there. Where we weren’t expecting to go as we went there was deep into conversations with friends and strangers alike about the “injustice” of hosting programs as I cradled a sweet boy who had just met the family who was making him a son. They are conversations worth having. There are concerns inherent to programs like this that deserve our attention and discernment. I didn’t reply to the “respectful criticisms” the next day or the day after that as I promised on that Facebook post. I put it all aside for a while. In fact, it’s been months now. I asked a friend to help me. She’s a passionate woman who in addition to being a wife, adoptive mom, and nurse, founded a nonprofit. She cares deeply for vulnerable children around the world. And, she’s opposed to orphan hosting programs. She graciously agreed to write out what led her to that end for the purpose of sharing right here. And, that’s what I’m going to do. I’m cracking open our own dialogue, in a way, a conversation between two women who seek to honor each other and all children with and not yet with families. A: Unintended negative consequences happen in the world of missions and orphan care every single day. When Christians move forward with good intentions and no sense of best practices, they cause more hurt, pain, confusion, and damage to those they hoped to love. Orphans deserve the very best that we can offer, and we as Christians do grave disservice to those we seek to love when we act out of uninformed passion. 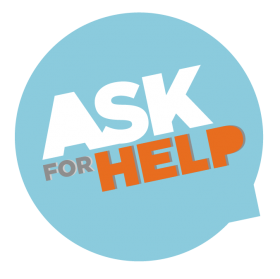 On the topic of orphan hosting, I would love to present some serious questions for you to ask yourself before hosting an orphan or vulnerable child. It is imperative that families very carefully consider if they are acting in the best interest of the child before eagerly jumping on the bandwagon of orphan hosting. B: Absolutely. Good intentions are simply not enough. As we consider every way we can serve orphans and vulnerable children, we need to ask the hard questions and count the cost. Let’s do it. A: What is my practical goal for hosting? Why host? 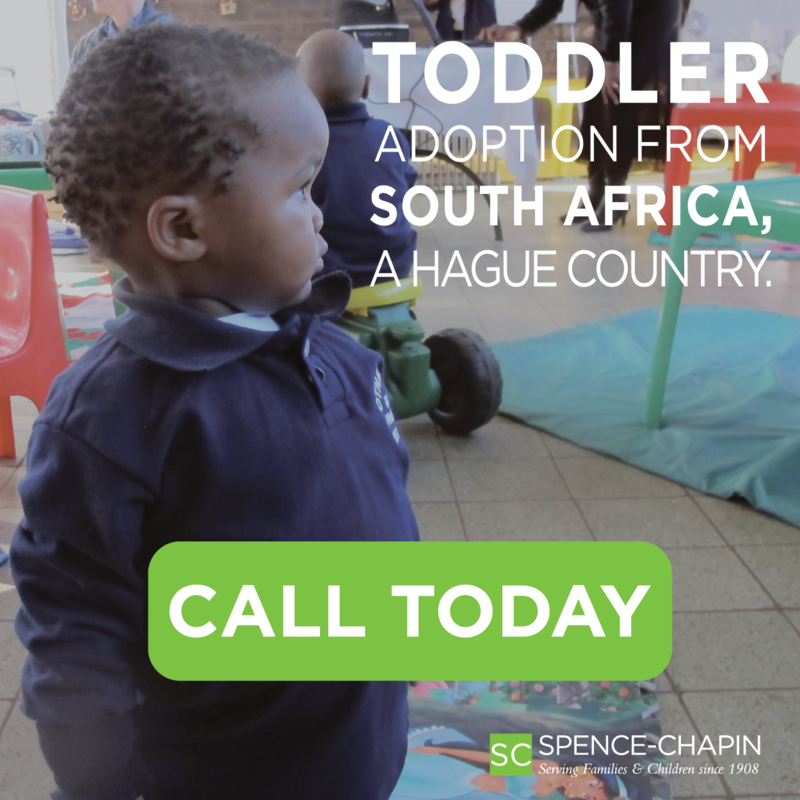 Are you seeking to host a child in order to ensure this child finds permanent family through adoption as a result? Or, are you simply wanting to give an “underprivileged child” the time of his or her life for a few weeks? One goal has the long term vision of changing a child’s life forever, and the other is focused on the present and temporal and is arguably injurious. B: This is a great first question to ask. Why host? Our hearts and motives are always complex and hard to discern. Families may be interested in an opportunity to serve as a cohesive family. Families may feel compelled to let someone use that bottom bunk or open up the door to an unused guest room. Maybe a family misses the energy of a child in their home and longs to have it again. Maybe the family has a child from the city where the child available for hosting is from and feels compelled to say yes. Maybe there is a part of their hearts that desires to be a hero. There are so many feelings all mixed into every decision we make. Some are pure and other-focused; some not so much. Some are present but are quieter than others that are louder. That’s the way our hearts are. We shouldn’t deceive ourselves otherwise. As all the motives are woven together into what ultimately drives us to make a decision one way or another, one of those motives should be for long-term permanency for the children involved. That’s what they need more than anything else. A. As the host family, how seriously would you own the task of finding this child a permanent family no matter what your experience turns out to be? Hosting a child who is available for adoption and hosting a child so that he or she will be adopted are very different. The latter situation is active with a clearly defined goal—family permanency for a child. 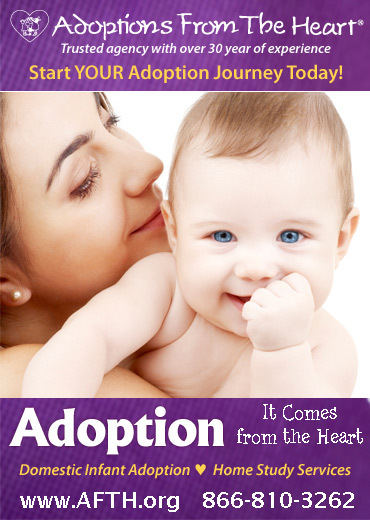 Families should ensure you are entering this experience with a heart full of sincere intent to adopt the child. If for some reason you determine that you will not adopt the child, a high level of assertive advocacy must happen for this child to find a permanent family elsewhere. B. After asking the why question, this question should naturally follow. Every hosting program should ask interested families: Do you take serious your responsibility in helping the child you host find a permanent family? I would hope that programs would require a “We do” to that question before proceeding. But, I also believe we need to give grace to what that responsibility looks like. 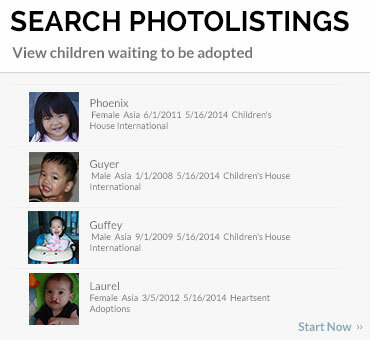 Host families do not only need to be families interested in adopting. Their commitment to advocate on behalf of a child who does not yet have a family is enough. Some host families may be well connected in churches and communities, with established social media platforms where advocacy can happen and happen well. But, if they are not already set up in these places to advocate on their own, their responsibility can look a little different (e.g., sharing pictures and stories with the hosting program and others with permission who do have a platform to advocate). Part of host family training should include best practices for advocacy and help host families have a plan in advance for how they will do this. A. How will the child who already has a traumatic history of loss be able to process the immersion into a family then sudden loss upon return to his or her home country? No matter how joyous and lovely of a time you spend with the child, he or she will be required leave you. “Better to have loved and lost than to have never loved at all” absolutely does not apply to a child who has repeatedly been let down by adults. He or she may have fun with you and may have basked in the warmth of your love for a time, but short-lived fun is not enough. When he or she is back in the exact same situation at the orphanage a few weeks later, there can be confusion, depression, grief. This is not hypothetical; it is real! The loss is just too much for adults to expect these kids to handle well. B. Herein lies the hardest part. Yes, the child hosted will have to return to wherever he or she was before. After tasting what life in a family may be like, it is simply tragic. But…but…if hosting ultimately results in a permanent place for a child who otherwise would not know the joy of belonging, of being the apple of one’s eye, of being called a son or daughter, I believe that the added cost to that child’s heart of hosting will be redeemed. A. 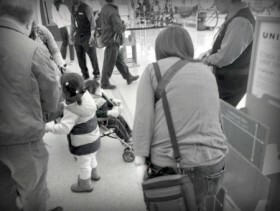 There are many families who say that hosting a child was the only way he or she would have had a chance to be adopted. 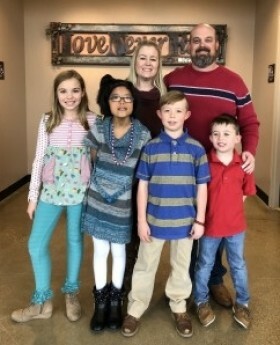 In these situations, especially after other adoption advocacy efforts have failed, it seems obvious that orphan hosting leading to adoption is a tremendous blessing for both the child and the family! However, families need to consider how bonding and subsequent separation affects the child’s ability to bond and trust after adoption. How will the children truly know that they won’t be leaving again at a time out of their control after adoption is finalized? It is plausible for them to think that since they had to leave before, they may leave again. B. Absolutely. Every family pursuing adoption needs to consider what their particular child needs to build and safeguard attachment. For children who have been hosted, either by their future adoptive family or by another family, even more efforts and intentionality are needed to give that child a sense of felt safety, to teach the child the exclusivity of family, to reinforce that no one is going anywhere. A. Furthermore, if host families have adopted prior to hosting, they need to consider how hosting will affect the children in their home who have already been adopted? What message will those children receive when your family brings a child who may even look like him or her, who may be from the same part of the world as him or her, who may have a similar story as him or her, only to send him or her back after a month? B. They absolutely do need to consider this. If a son or daughter has a fragile attachment, perhaps that family is called to serve in another way. Hosting may be too risky for them to do if a child in their home is already struggling with processing what permanency and healthy relationships look like. Rather than host, that family may be able to help find host families, help fund the hosting cost for another willing and able family who lacks the finances to do it, make meals for another host family, provide clothing for the child to relieve another host family of that burden. There are plenty of opportunities to be involved from an arms length away if a family thinks that it may threaten the connection with other children in their home. However, families should also consider the opportunities that hosting creates to build into their attachments with children in their home. As a child without yet a family enters into their family for a time, questions will inevitably arise and doors will open to conversations you may not have had otherwise. Those sweet conversations can actually foster deeper connections for parents and children, which is what we personally experienced. Good hosting programs acknowledge both the challenges and blessings of hosting for adoptive families and can help families determine if it’s a good choice for them and support families who believe it as as they walk through the challenges and opportunities created through hosting. A. 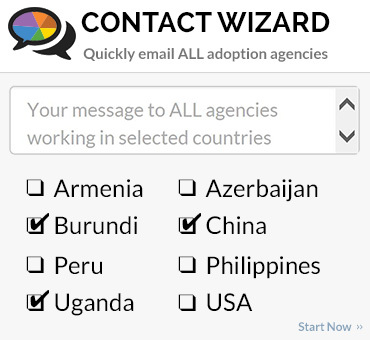 What about alternatives to orphan hosting? There are some “reverse hosting” programs in China currently that are receiving rave reviews with positive outcomes. 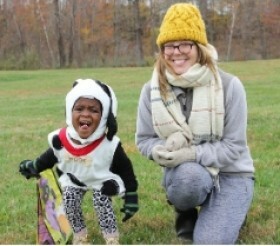 In these programs, people from the US are the world travelers and participate in a week-long camp where they are paired up with child in need of adoption advocacy. The week is planned out with field trips, games, crafts, food, etc. to maximize opportunities for children and advocates to get to know each other. With reverse hosting, it’s the adults from America who are the ones subjected to the cultural stress of being in a foreign country, away from all they know. The children get to enjoy a fun respite from the orphanage along with their peers, sharing common experiences that will be memories they can enjoy together after the weeklong camp is over. 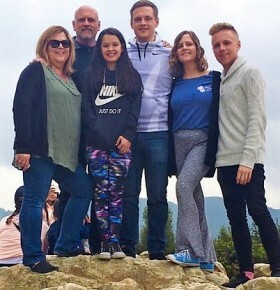 When advocates return, they can either move forward to adopt one of the children or get busy fulfilling their responsibility to ensure that the campers are adopted into loving families. It is a win-win. B. Reverse hosting programs as well as team trips that enter into orphan communities offer tremendous opportunities for effective advocacy. I’ve been able to have a front-row seat to that myself, and it never fails to make me do proverbial cartwheels and clap my hands in delight when I see it work. It’s good. It’s really good. But, those programs do not need to be in place of or instead of hosting programs in the U.S. In theory, reverse hosting and teams entering into orphan communities are superior in that there is less opportunity for trauma to the children. But, the potential for trauma is very much still there as Westerners enter in with potentially mixed motives and methods. We cannot deceive ourselves into thinking these programs are without risk themselves. With good training and support that acknowledges the costs and blessings, all of these programs can be used to advocate for children who do not yet have families. We don’t need to pick only one. A. There are families who sing the praises of their experience hosting a child and giving him or her as well as the family an experience of a lifetime. My challenge to these families is this: unless the hosting experience has somehow dramatically changed the day-to-day living situation that this child returns to, the odds are very high that your hosting experience was far more positively impactful on your life than it was on theirs. A child returning to life in an orphanage after being with your family for 4-6 weeks is extremely likely to experience depression, trauma from yet another loss, poor academic performance, behavior challenges, etc. It is entirely unreasonable to believe that one overwhelming—even if “positive”—trip is what it takes to change a child’s life forever in some fashion. Six weeks with you will become just a distant memory for him or her and quite possibly a source for pain and longing while you are still singing its praises. That is unjust. B. We would be remiss if we did not acknowledge that there are tremendous blessings in store for families who host. Host families get to experience pouring themselves out for the sake of a child who may not ever be their own. Parents and children join arms in serving, and parents get the sweet experience of seeing their sons’ and daughters’ compassion for another child in action. Husbands and wives have the opportunity to partner together in unified purpose for the good of a child. Host families experience the joy of knowing there is a great cloud of witnesses cheering them on as others gather around to make meals, provide clothing, give words of encouragement. All of that together did make our family sing the praises of orphan hosting despite the great cost both to the child we hosted and to our family. We trust that one day that little boy who was ours for a time will also be able to say along with us that the cost was worth it when his parents help him walk through his story. Hosting didn’t just change his day-to-day living situation; it turned it upside down. Maybe there’s more questions. I’m sure there are. 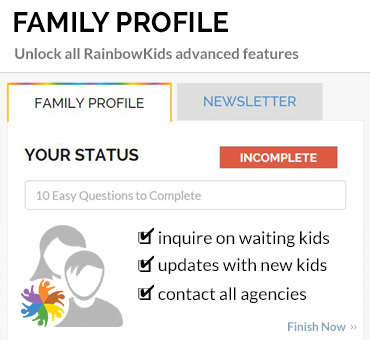 I’m sure that each family has unique questions they will need to consider and wrestle through as they approach orphan hosting opportunities. But, I also know that sometimes those unanswered questions can become justifications for doing nothing, for withdrawing altogether. I urge you; my friend willing to dialogue here with me urges you. Do not withdrawal. Keep wrestling with whatever “best practices” means to you, with how your family can answer the call to be intentional for the good of others including the most vulnerable others in the world—children without families. Therefore, this is where I stand.